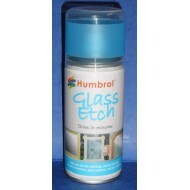 Can be used to transform mirrors, interior doors and windows. Used in conjuntion with stencils, a wide range of designer effects can be created. Not suitable for areas prone to high condensation, steam, moisture or cold damp conditions.